"I love innovating, but before launching Creation Nation I also spent a year doing focus groups, testing, brand strategy, working with consultants on a financially sound business plan etc." Karen Nation is a certified sports nutrition specialist who understands taste & nutrition are not one size fits all. This is one of the principles upon which she founded her company, Creation Nation, and created a new category: the world’s first Protein Bar Mixes. 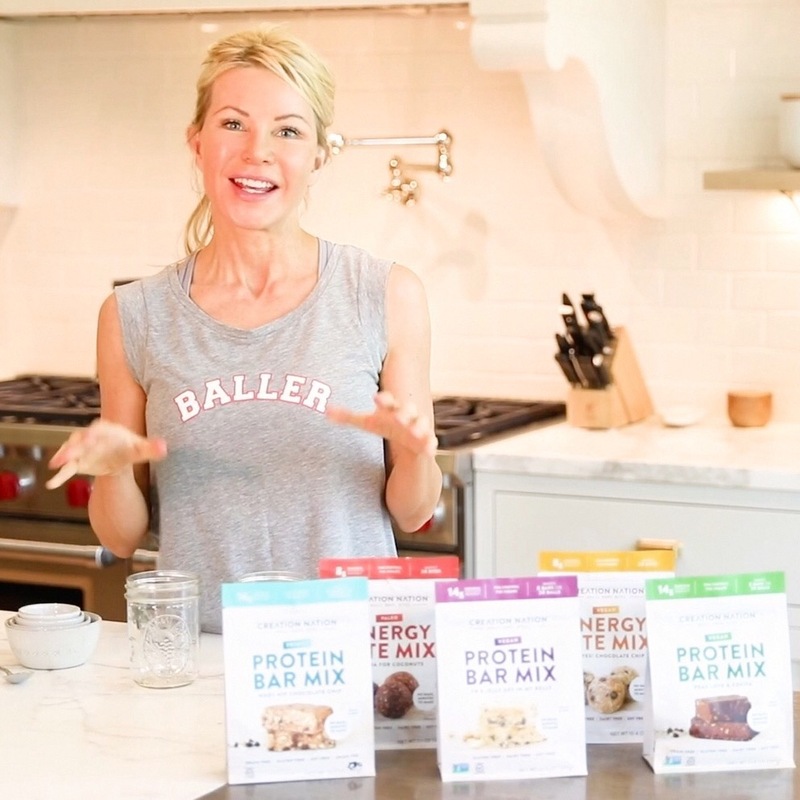 Since 2014 Creation Nation has been leading a DIY Protein Bar Revolution to empower people to make fresh, delicious, customized bars & bites that are no-bake & easy as a protein shake! I didn’t initially set out to start a natural foods brand, but I was definitely on a mission to follow my passion. At the time, I was applying to medical school to become a naturopathic doctor. Like many founders, I went through a healing process of my own and wanted to help others. While applying to medical schools, I hit another wall on what I would tolerate in my food. This was especially true for protein bars, which were essentially candy bars in disguise with a stale taste despite all the preservatives. I began making my own bars from scratch which were fresh, delicious, healthier, more nutritious, and a money saver. My nutrition clients loved my recipes too, but we all wished there was an easier way to make them. For the same reason we love making smoothies (fresh, personalized, delicious, more nutritious...) we wanted to make our own bars & bites just as easily! I wondered, if there are baking mixes for cookies, and protein powders for smoothies, why not a no-bake mix for protein bars? Creation Nation was born to give ultimate control back to consumers whether they are Vegan, Paleo, Gluten Free, Keto or simply taste & health-conscious. No one should have to settle. Plus, fresh food is better for you & simply tastes much better too, and we all deserve that! I absolutely love innovation, but before launching Creation Nation I also spent a year doing focus groups, and working with consultants on a financially sound business plan, etc. Then our first year on the market we took the time to gather feedback, fine tune our process, and clarify our brand message. Creating a whole new category is challenging, but the time we spent early on helped us stay on course. I’m also inspired by spiritual growth. One lesson for me has been learning to trust my instincts. While it’s important to learn from those more experienced, there are also nuances of information as a category creator that only I might see at first. When I trust my instincts and communicate them clearly with my team, the results are always positive. To me, there is no greater offering than a room of like-minded, passionate leaders to immerse yourself in as a startup Founder. I couldn’t have built Creation Nation alone without events like Foundermade, and the advisors and resources I’ve connected with. It’s also just fun to gather with your tribe and geek-out over innovation, food science, and creating change in the industry!